8th March is celebrated world over as the International Women’s day. This year’s celebration is coming in the wake of an eventful year. It has been revealed that the gender gap, the gap between men and women across health, education, politics and economics, has widened, the #MeToo movement has started, encouraging millions to speak up against sexual violence and harassment, and Times Up , another movement calling for something to be done against sexual assault, harassment and inequality in the workplace has been established. This year’s International Women’s Day campaign theme is Press for Progress because now, more than ever, there’s a strong call-to-action to press forward and progress gender parity. Many issues have caused women to continually come second place after men. One of the reasons hurting women is domestic violence. The United Nations Sustainable Development Goals (SDG)addresses this. The UN states that violence against women and girls violates their human rights and hinders development. 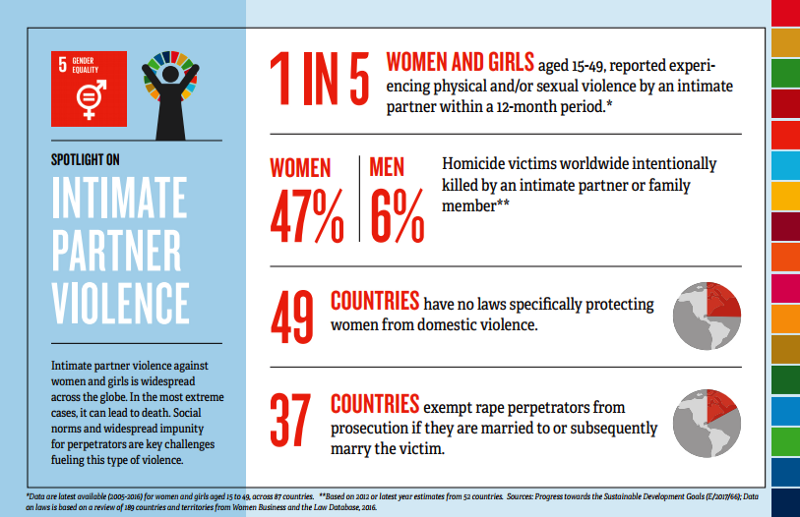 Sexual violence is widespread across the globe with women making up 47% of homicide victims worldwide intentionally killed by an intimate partner. The 2016 Uganda Demographic Health Survey (UDHS) covers household and respondent characteristics, fertility and family planning, infant and child health and mortality, maternal health and maternal and adult mortality, child and adult nutrition, malaria, HIV/AIDS, disability, road traffic accidents, child discipline, early childhood development and domestic violence. This latest of the surveys notes that in Uganda, domestic violence is widely acknowledged to be of great concern. Domestic violence is a human rights problem, an economic problem as well as a health problem. 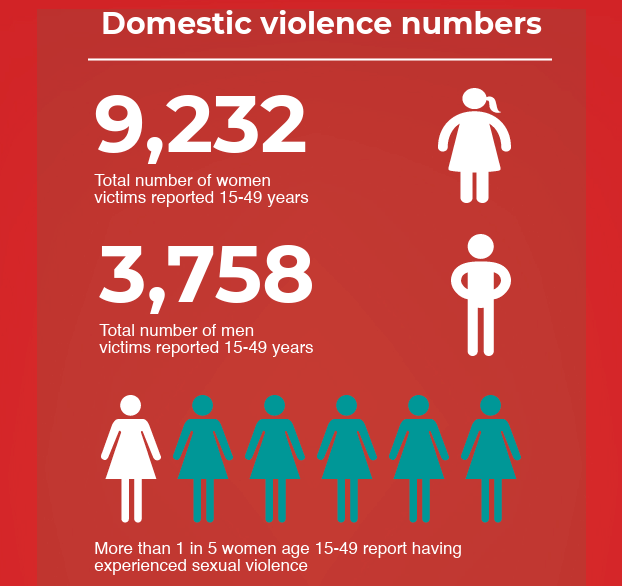 Domestic violence has many names including sexual violence, spousal violence and intimate partner violence. In Uganda women are more than twice as likely to experience domestic violence as men. More than 1 in 5 women age 15–49 (22%) report that they have experienced sexual violence at some point in time compared with fewer than 1 in 10 (8%) men. Domestic violence has been found higher in rural areas than in the urban. This is a country problem. The highest number of reported cases for women is found in Bukedi region with 39.8% and South Central for men at 12.5%. Unfortunately not all incidences are reported; the report found that women age 15–19, women in urban areas and those never married women are less likely to report domestic violence. Education level is a factor too with lower incidences of domestic violence reported in persons with secondary education and higher. Domestic violence numbers are still very high in the nation and this should be addressed. Regional statistics show us where to concentrate awareness campaigns; education statistics tell us that the numbers can be greatly reduced by pushing for women to stay in school longer — the list goes on. Uganda cannot be left behind where progress is concerned. Domestic violence hurts the victims in particular and the nation as a whole.The masses should be empowered to reduce the prevalence of domestic violence. We have to #PressforProgress.